January has been the longest month thus far! I am just anxiously waiting for these next few months to pass by, so that we can be cold-free again! I have been on a hiatus lately. Asides from these last few (stressful!) 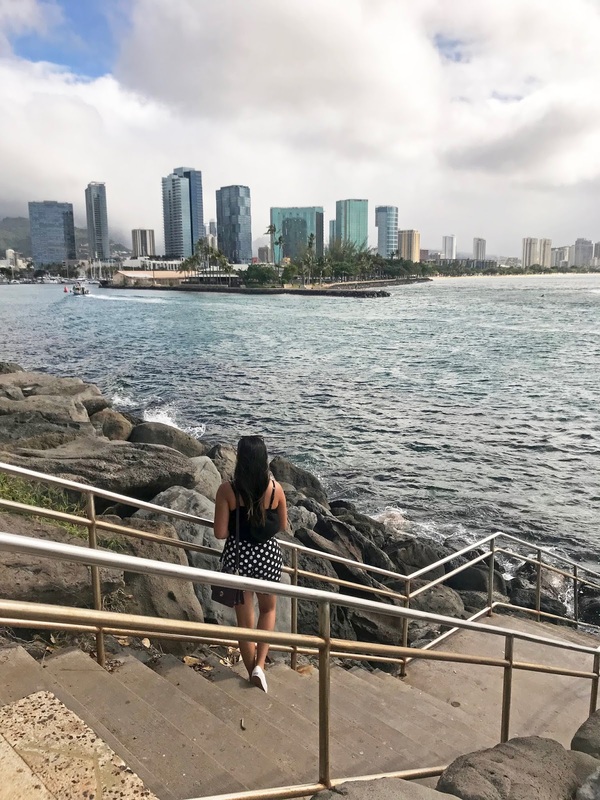 weeks that has kept me from blogging, the cold has kept me from wanting to go outside! Luckily, for us Chicago-ans, Mr. Sun has decided to shine down on us a bit more lately, and the weather is starting to look up.. But yet again this weather is super unpredictable -- so who knows?! For today's look, I decided to keep it fairly simple and appropriate for this weather. I bought this beautiful cape from The Limited. The best thing about this cape is that it's reversible, the other side is navy, but I personally like the plaid side better! 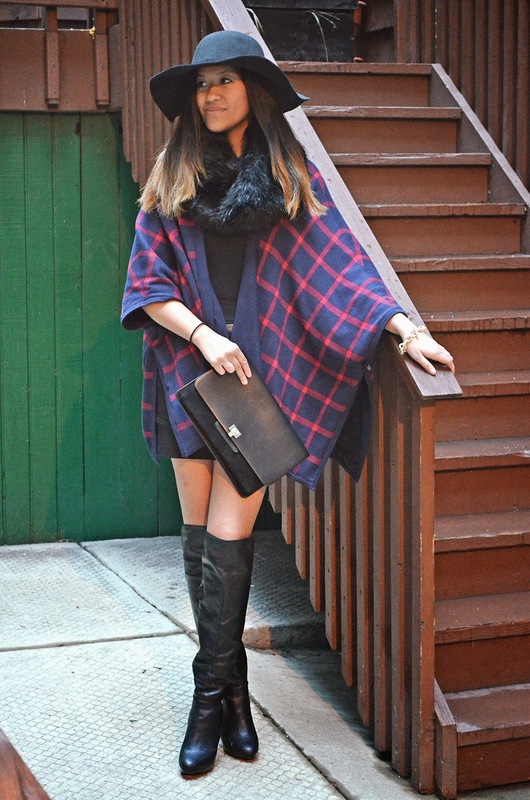 I wore this cape with my over the knee leather boots; capes tend to pair nicely with them! 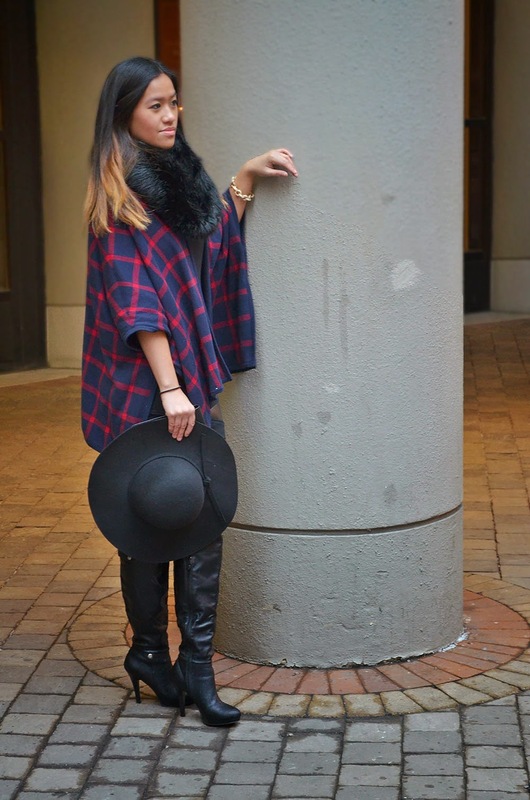 This faux fur scarf is a great piece to accessorize your outfit! This scarf is also from the Limited and keeps your neck nice and warm! Love the Cape!! Great look! !